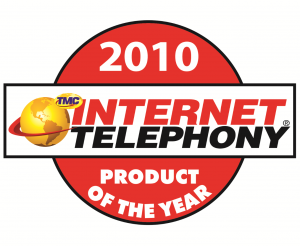 Voxox's parent company Telcentris announced today that the company's service delivery platform, which powers Voxox and Telcentris' business divisions, won Internet Telephony magazine's Product of the Year Award for 2010! We're very excited and honored to receive this recognition and are glad that our Voxox customers are on this award-winning underlying platform. “We are pleased to see our technologies recognized by well-respected organizations, such as TMC," said Bryan Hertz, CEO of TelCentris. "Our cloud-based platform is the underlying core of our products and services, and its validation proves our commitment to quality and excellence in addressing customer needs."